The news was announced in a statement overnight. 'Granta Publications is closing the Portobello Books imprint and will publish its authors on the Granta Books imprint, strengthening Granta’s reputation as a publisher of outstanding quality fiction and non-fiction from around the world. 'From January 2019, all titles under contract with Portobello Books will be published as Granta Books titles. The list size of Granta Books will expand to incorporate those titles and authors previously published under Portobello Books, and there will be no change in output or personnel at Granta Publications. 'Portobello Books was founded in 2005 by Sigrid Rausing, Eric Abraham and Philip Gwyn Jones. Rausing bought Granta in 2006 and the two independent publishing houses were merged, with Granta magazine, to become Granta Publications in 2011. Sigrid Rausing said: "Thirteen years ago Eric and I founded Portobello Books together with Philip Gwyn Jones. Since then we have gone to publish some extraordinary books, many of which have won prizes and great acclaim. 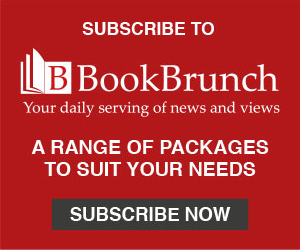 I am so proud of everything we have achieved, but publishing all our books under the Granta imprint allows us to truly focus on building our reputation as a quality publisher of global literary fiction and non-fiction and will bring the editorial vision of the books and magazine closer together." Philip Gwyn Jones left Granta in May 2013 and moved to Scribe the following January.